BMW reports that in 2018, the demand for electric and petrol/electric models increased by over 25% in the UK. In result, more than 17,000 electrified BMW were sold, which is 1/10th of the brand's total volume (172,048). Also, MINI PHEV sales gained some traction with 2,306 new registrations, which translates to 3.4% of the total volume. Assuming that 19,306 BMW Group plug-ins were delivered in 2018, it would be almost one-third of the total British plug-in market, which is exceptionally high. Overall, average plug-in share for the BMW Group stands at 8%. 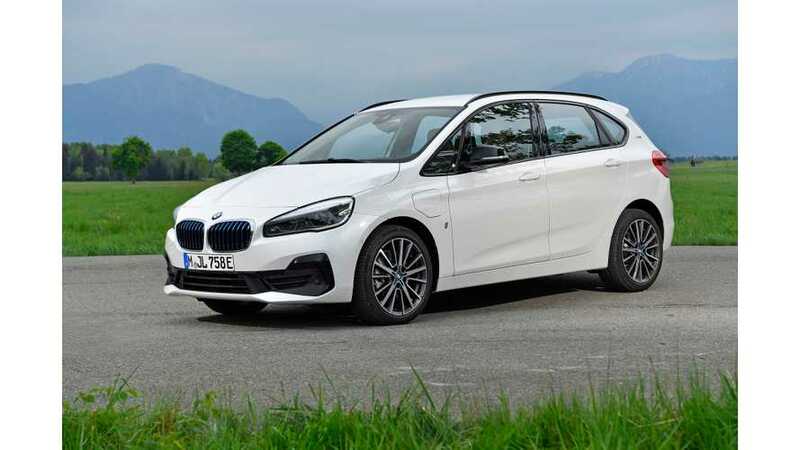 "BMW Group has reported 239, 069 BMW and MINI vehicle registrations in 2018 with both brands significantly outperforming the total UK new car market which fell by seven per cent. The BMW brand accounted for 172,048 sales, a fall of two per cent compared to 2017, with one in ten customers now selecting an electric or petrol/electric vehicle." "2018 also saw demand increase by over 25 per cent for BMW’s electric and petrol/electric models with more than 17,000 customers choosing an alternatively fuelled vehicle, representing one in ten of all BMW brand vehicles sold." "MINI UK’s overall market share grew to a record 2.8 per cent in 2018, comprised of 67,021 vehicle registrations. The brand’s biggest and most versatile model, the MINI Countryman, recorded a 25 per cent increase versus 2017 with 14,607 registrations, due in part to the extremely strong customer demand for the Plug-in Hybrid model with 2,306 vehicles registered."